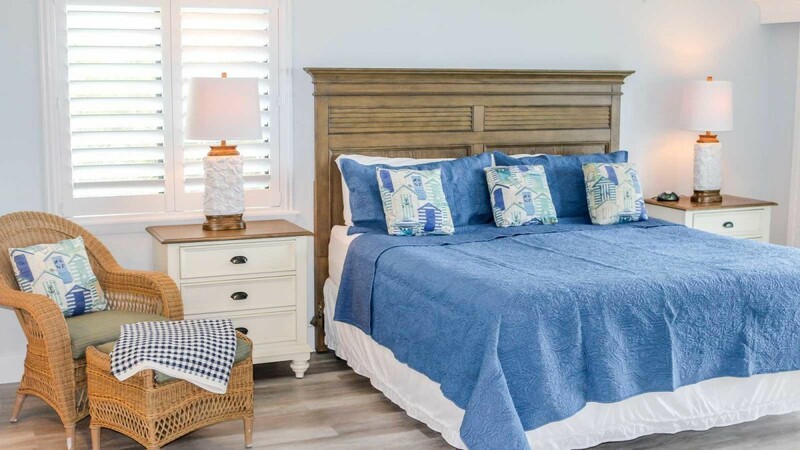 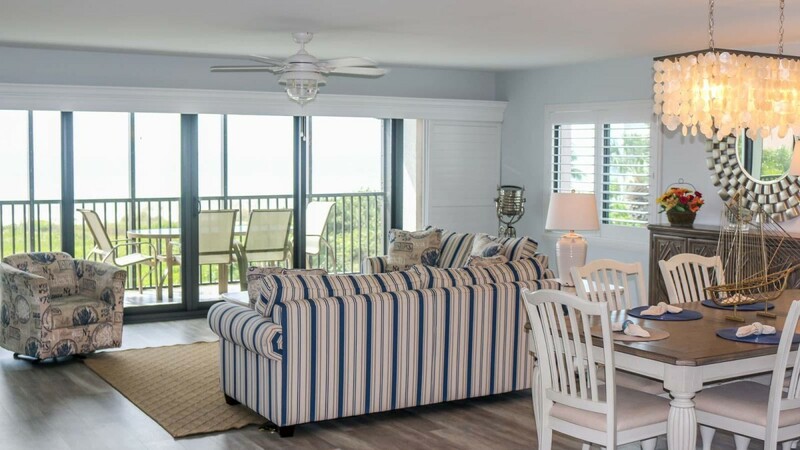 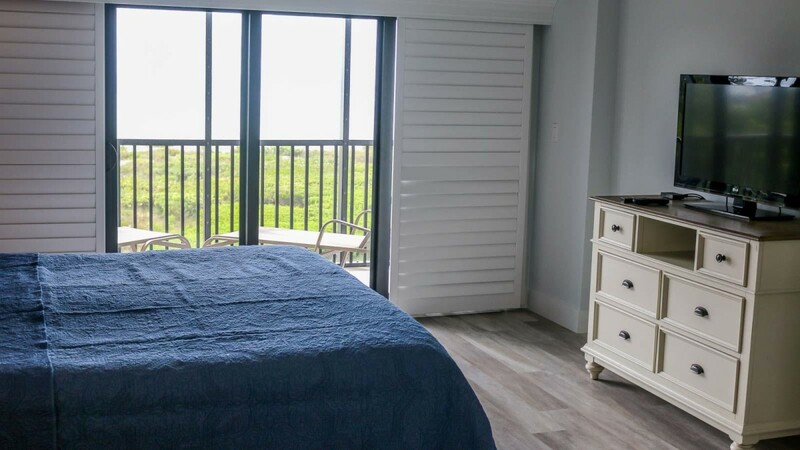 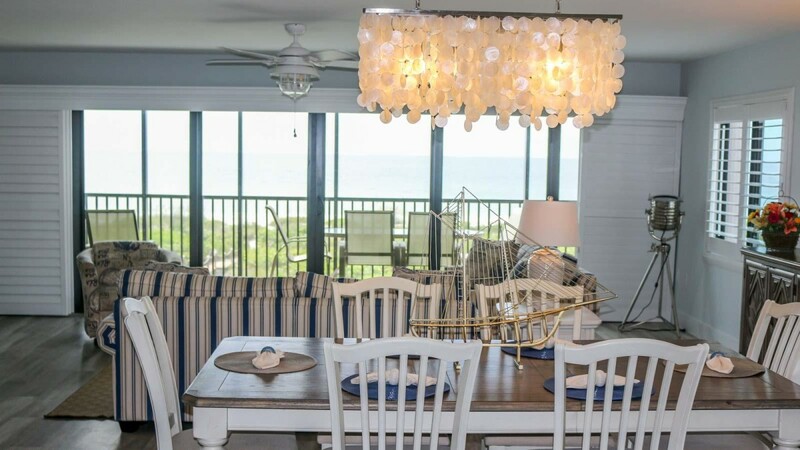 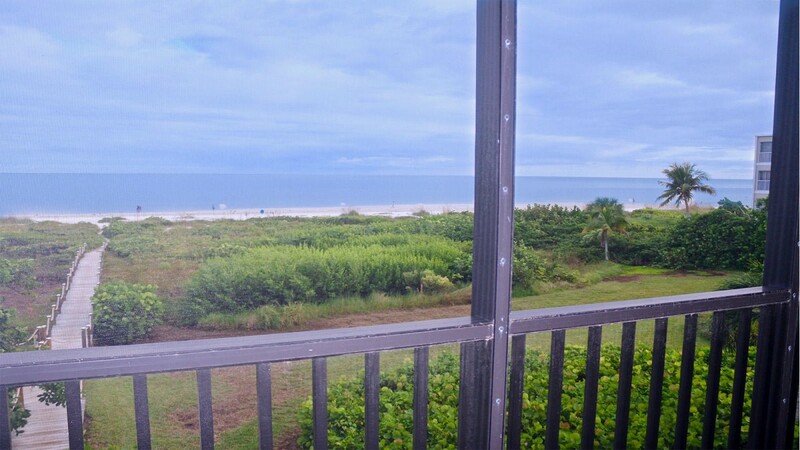 This gorgeous beachfront paradise 2nd floor condo boasts three-bedrooms, three-baths and a spacious floor plan of 2415 total living space accommodating up to 6 guests. 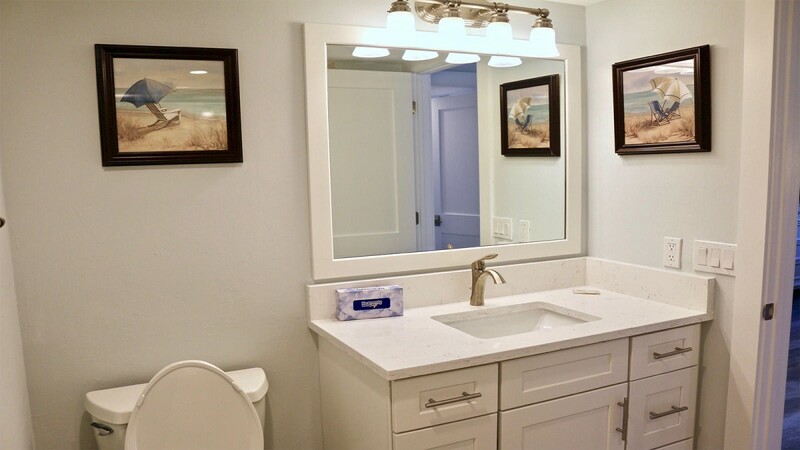 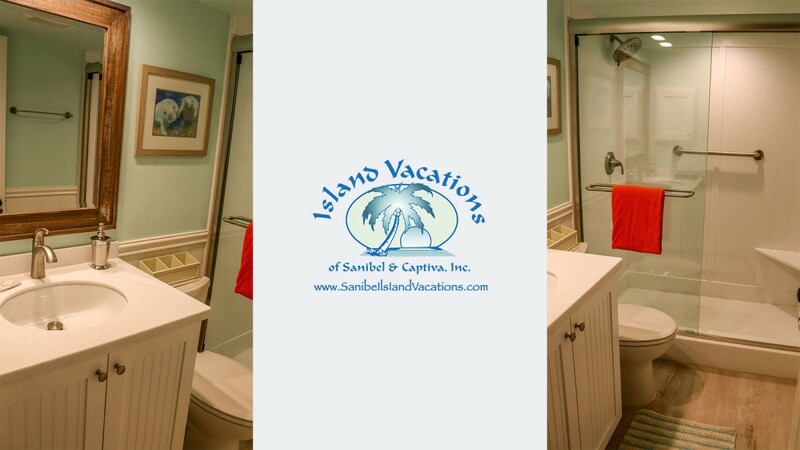 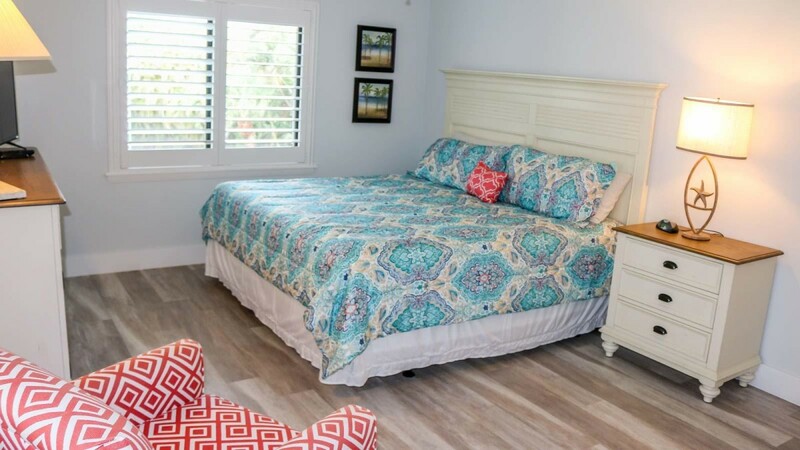 Completely renovated the summer of 2017 with luxurious laminate wood flooring, all newly remodeled bathrooms, pristine kitchen and professional painted in soft calming hues of blues and grays. 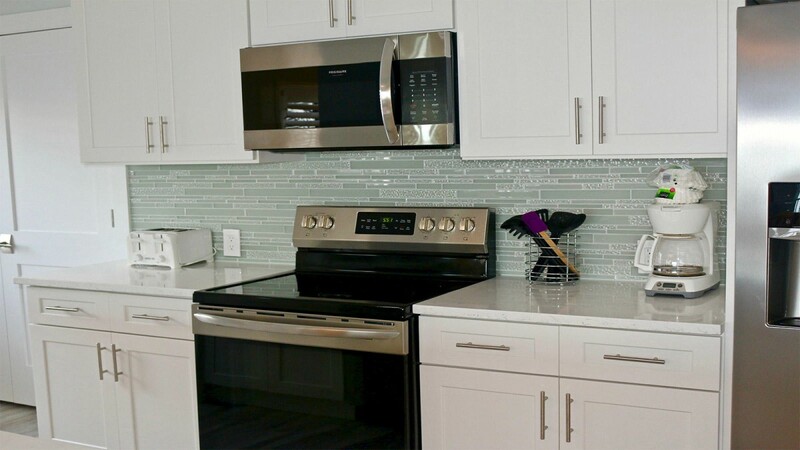 The fully equipped kitchen has all new appliances and cookware. 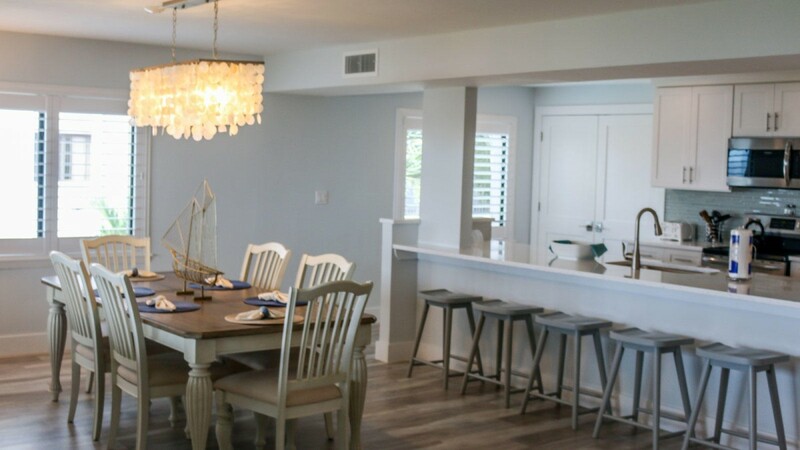 The spacious living room and formal dining room are perfect for entertaining. 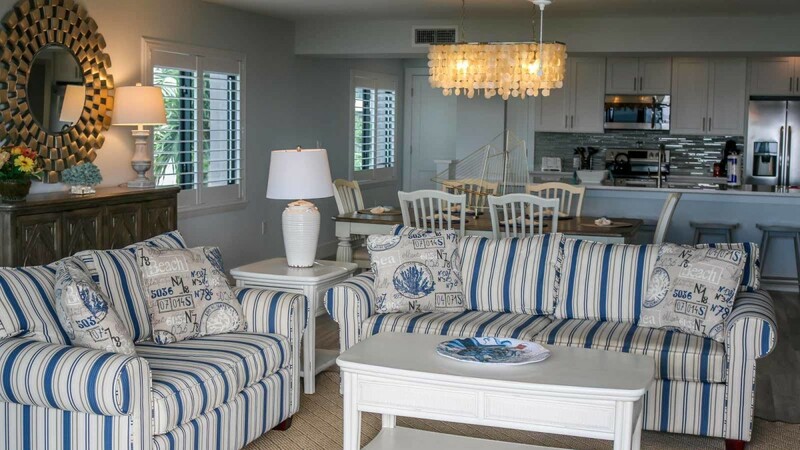 The living room has a large screen TV and DVD player. 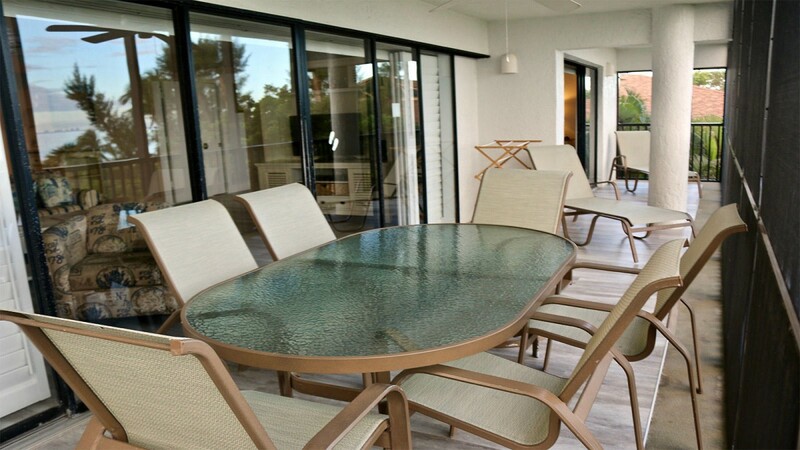 Outdoor dining is available on the screened patio where you may sit to enjoy the Gulf breezes and spectacular sunset views. 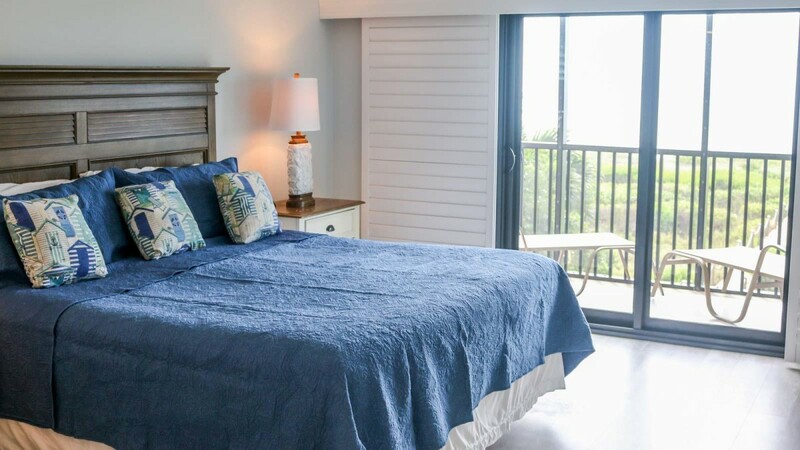 The master bedroom has a king size bed, flat screen TV, a spacious private bathroom with a double vanity and large walk-in shower. 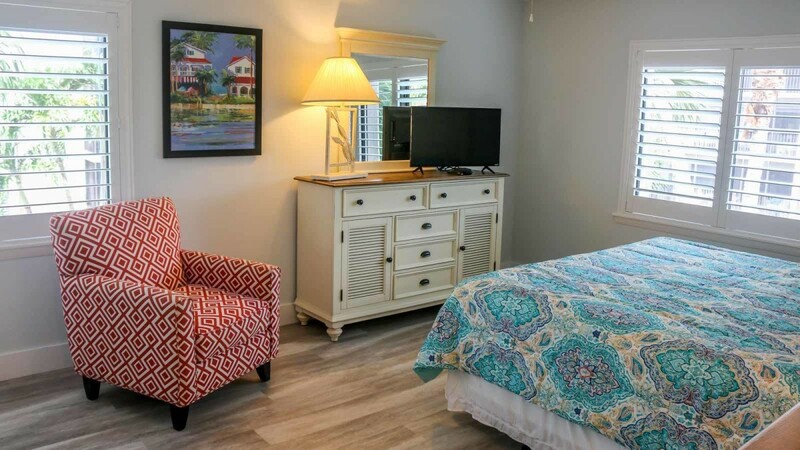 The 2nd bedroom has a king size bed, TV, and private bathroom with shower. 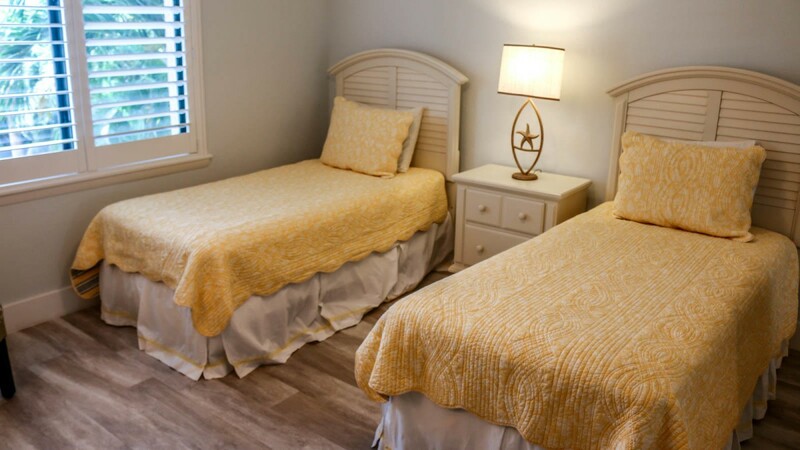 The 3rd bedroom has 2 twin beds and a flat screen TV and DVD player. 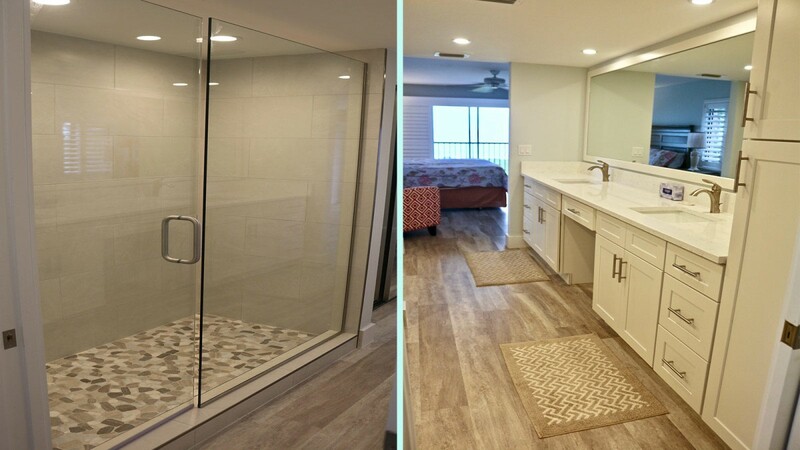 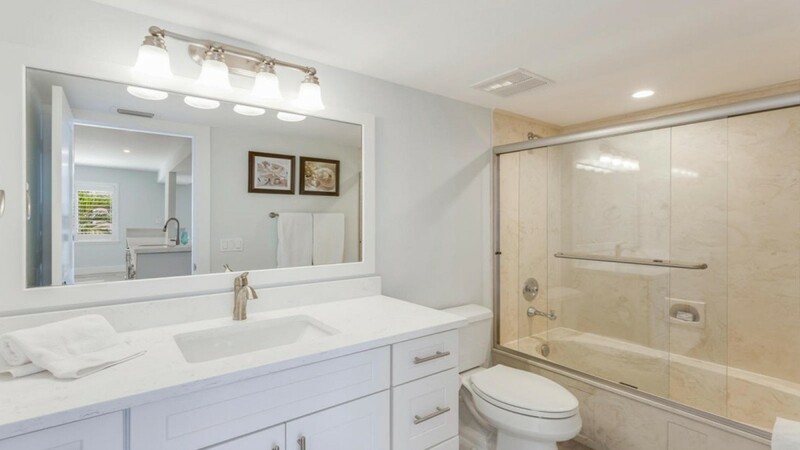 The 3rd bathroom has a tub/shower. 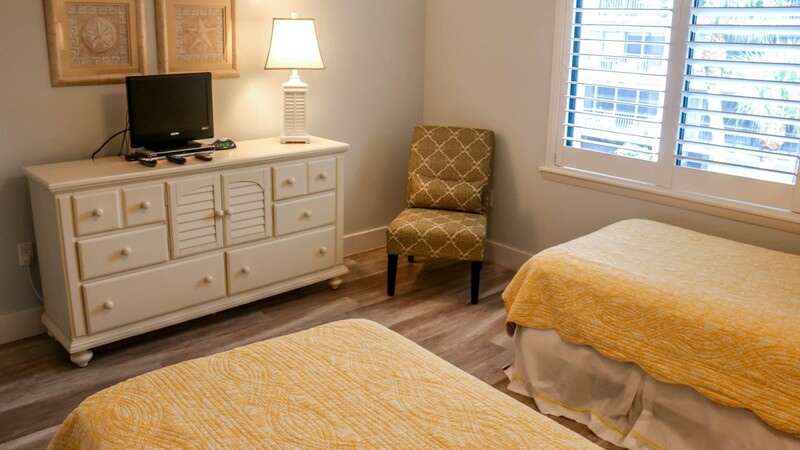 Additional amenities include a new full size washer and dryer, complimentary Wifi, beach towels, and lots of beach equipment for you.